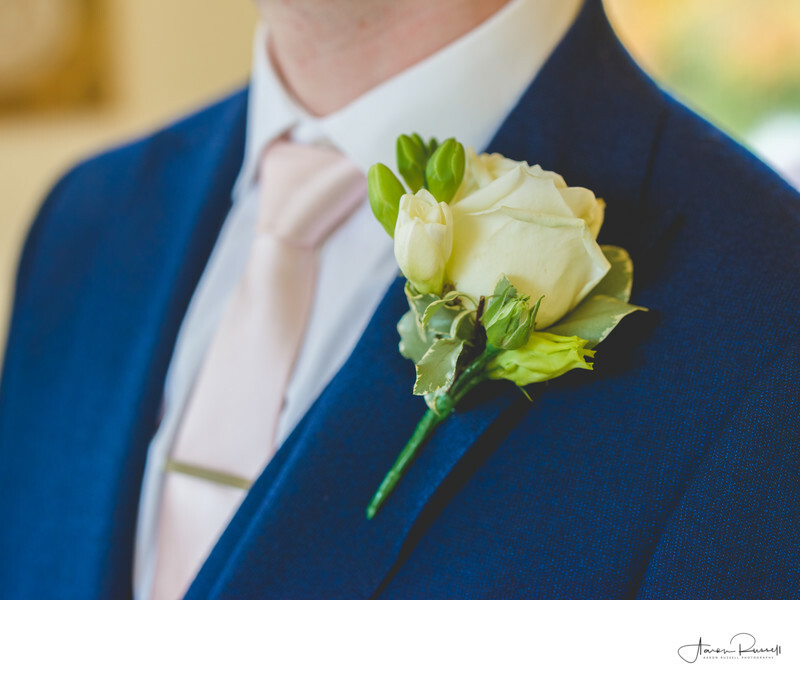 When it comes to photographing the groom's details its always nice if you can bring the person into them. So many times I see the buttonholes photographed in boxes or left on tables. Although often very nice I prefer to photograph them against the groom's suit. A lot of time and thought goes into the colour choice of the suits and which flowers to compliment that colour choice. Why Stephen was standing at the altar waiting for his bride to walk down the aisle it was the perfect moment to take a detail photograph. For this photograph, I used my medium format 51MP digital camera with the 110mm f2 lens. I just cannot get enough of the look that this medium format camera gives me. The flower is incredibly sharp and the transition to out of focus is ultra silky and can only be achieved to this detail with a medium format camera. You can read more about why I shoot medium format here along with the massive investment I have made to ensure the photographs I deliver to my wedding clients are of the utmost of quality.